Home TunerStudio TunerStudio Articles Introducing TunerStudio MS Ultra! TunerStudio MS Ultra! The fully loaded TunerStudio. Upgrade your existing TunerStudio MS! You have been here, we have too. Whether while tuning a car on the dyno where time is precious and expensive, or sitting in the passenger seat, your time is important and you need to be effective. TunerStudio MS Ultra takes all the tool and pulls them together in one place with an Integrated Log Viewer, Dyno & Tuning Views, Trim Table Auto-tune and more. Bringing you the powerful set of tools found in TunerStudio MS, but now even more focusing on the serious tuner. 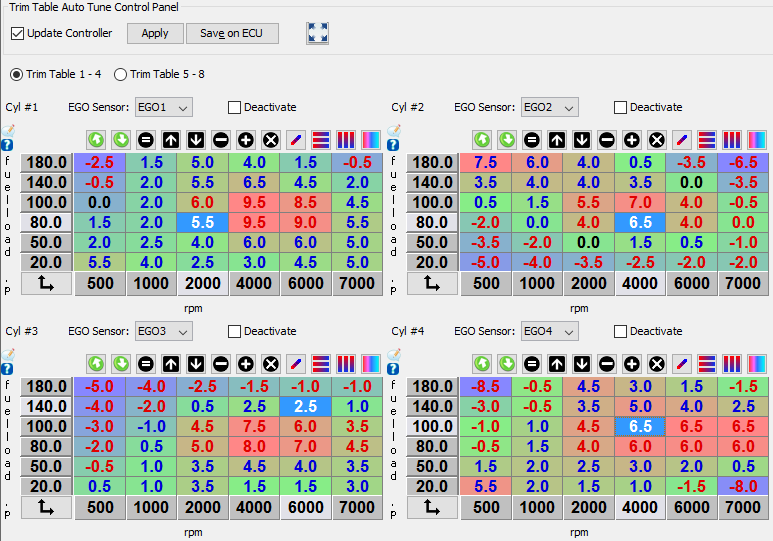 Tuning and Dyno Views - starting with the thought out bundled views, you can then add, edit and modify these view to create a tab with every setting and gauge you need for any tuning function! 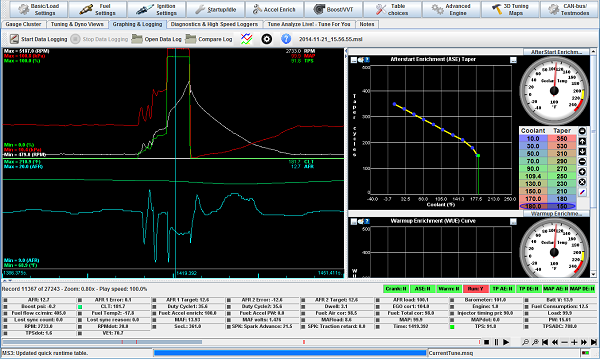 Integrated Log Viewer - Similar to the standard Log Viewer in MegaLogViewer, but with live trailing and trace to any table or curve in the system! Trim Table Auto-Tune - Once you have your main table dialed in with the help of VE Analyze Live Auto-Tune, take it to the next level with individual cylinder trim auto-tune! 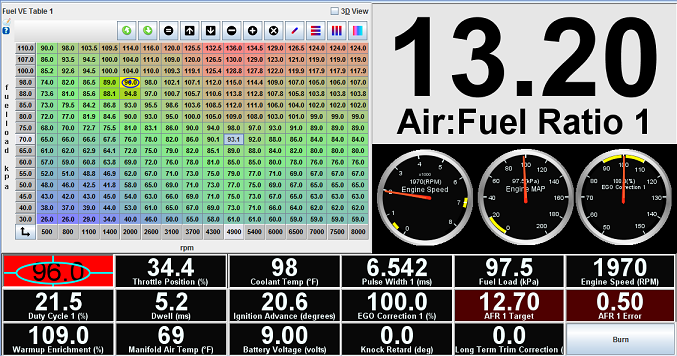 This is set up so you don't even need to have a Wideband for every cylinder! X-Y Plotting of log data on any 1D Curve. This is a great feature for tuning the MS3 Perfect Run Curve for traction control.